Megavore comic starring the one and only Cordite the Candy Dragon. I am not an artist. I have no artistic skills whatsoever. Any images in my gallery are commissions or similar from actual artists. I will provide links to the originals in the submissions which can be used to go favourite the image on the artists page. If you plan on adding one of my images as a favourite, please consider doing it on the artists version as it is their talent. Feel free to comment on any of the submissions I do post, I don't bite..... hard. 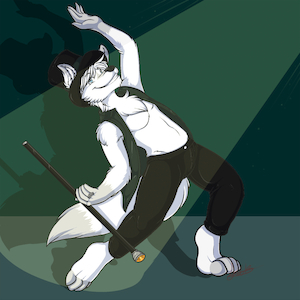 Unlike my sona, in real life I can't dance or sing to save my life, but do enjoy going to see musicals on stage. I do however play the piano accordion although I am not very good at it at the moment (a few years of neglecting to practice). In real life I am a software engineer. Keeping in mind that I am a fairly boring person, my skype info is in the contact information section below and to the right for anyone who might want to contact or talk to me. Seriously, I'm not very talkative so don't be offended if I don't start conversations or even just give bare minimum replies, it isn't personal I just... don't converse easily. No RP or ERP. No exceptions. I'm sorry but in the past when I have done it at all it has been to make other people happy and it just ends up making me anxious and unhappy. I am not a very good or creative writer. I never know how to end them nicely. I am completely unable to come up with new ideas / settings to explore (I've only ever really been remotely ok at working with someone elses core idea and setting). I am not particularly good at working out what other people want. I am terrible at reading meaning and intent from a partners writing, often just ending up confused. A little back and forth banter in the comments of a submission, based on the theme of that submission is the most you can hope for from me. Anything else is a no-go. You're welcome! Since you're new here, you wanna watch my page? I also have a FurAffinity, Deviantart, and a SoFurry Account. You wanna watch those as well? I like your art. I new here. You wanna look at my gallery?